A Crossbite is when the back teeth bite inside out. Instead of the top teeth fitting over the bottom like it should (like a lid on a shoebox), the back teeth crisscross from their natural positions. Crossbites are associated with lower jaw asymmetry and are a risk factor for future TMJ problems. 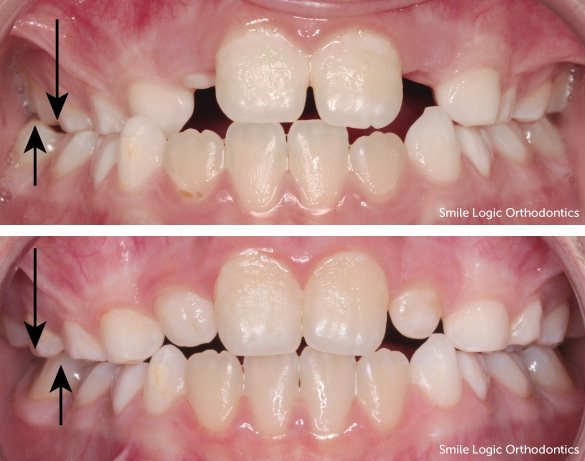 Treatment options includeincreasing the width of the top jaw and tipping the teeth outward.